Robert Vahedi has more than 20 years of executive and management experience, as well as experience as a consultant and an engineer in multinational organizations. A passionate entrepreneur, Robert founded Advanced Intelligent Systems in 2013 with Farhang Bidram (Chief Technology Officer), with the vision to create an engineering firm in a niche robotics field that can have a meaningful industry impact. 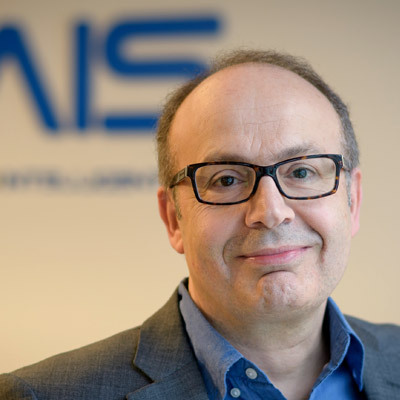 Prior to founding AIS, Robert gained international experience at various tech companies, financial institutions and business corporations from multinationals (ING Group, ABN Amro bank) to mid-size and small corporations. Robert is the Founder and CEO of Orange Alliance Consultancy and has held positions as Information Technology Manager in The Netherlands, and as Business Development Manager in Canada. Robert is skilled in start-up, growth and exit stages in emerging companies, with a strong focus on strategic planning, business development and building relationships. Mr. Vahedi holds a MSc. Degree in Information Technology from De Montfort University in England.